Whether you’re diligent about getting your annual flu shots or choose to tough it out instead, it makes sense to do what you can to boost your immune system naturally when flu season hits. Because even if you do get your flu shot, sometimes the strains the shots protect against aren’t the strains that end up going around, in which case you’ll be glad you had a back-up plan. Of course, it’s not just the flu that you need to protect against this time of year and that’s the other benefit of strengthening your immune system–it’ll help you fight off a whole host of germs. These are some of my favorite natural immunity boosters to help you stay healthy this winter. Vitamin D is critically important for our immune system and most of us are deficient. The Vitamin D Council suggests that our vitamin D level should be between 50-80 ng/ml. Most people come in around 35 ng/ml or below. There are many reasons why so many of us are deficient, but here are a few: instead of spending our lives outside, we live in houses, work in buildings and commute by cars where we get zero UVB radiation; we don’t eat the traditional diet of cold water fish, fish oil and organ meats (all high in vitamin D) like our ancestors used to; and we lather ourselves in sunscreen, which blocks the good UVB radiation, whenever we go outside. The list goes on, but what is important is that it’s really tough to get sufficient vitamin D naturally and therefore almost all of us need to supplement, especially in the winter. A vitamin D3 supplement derived from sheep lanolin is the best. Generally people need between 4000 – 5000 IU per day to get optimized vitamin D. In addition to your supplement, try to up your intake of salmon, sardines, mackerel, shrimp, cod, eggs, fortified yogurt, and organ meats (if you’re brave). You may have heard how turmeric is an all-around rock star of a spice. It’s warming, immune-boosting, antioxidant, anti-inflammatory, anti-viral, and anti-microbial. We know that 80% of our immune system is in our gut. 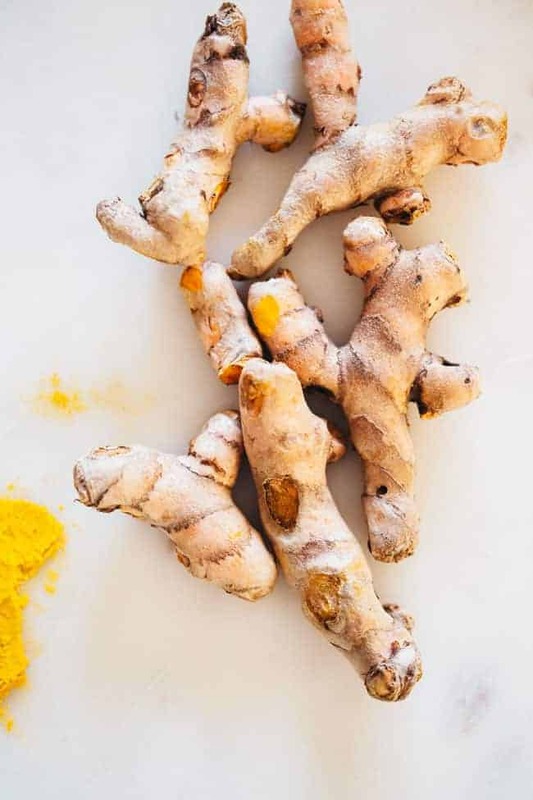 Turmeric does a great job of gently scrubbing the intestinal wall to keep the environment in our gut conducive to healthy, immune-producing microbes. A study showed that piperine (the active component in black pepper) can increase the absorption of curcumin (the active component in turmeric) by 2000%! So when you add turmeric to your soups, stews, eggs, etc., add a grind of black pepper to increase turmeric’s bio-availability. I also love adding turmeric to my smoothies and drinks. Give this latte a try! Ashwagandha is a warm, heavy and sweet root that is one of most immune-boosting adaptogens out there! It helps the body adapt to stress without unwanted stimulation, and also supports natural sleep cycles by helping the body to maintain adequate energy levels to calm itself down and sleep restfully. In the daytime, it helps support the immune system and musculoskeletal systems, both of which may be negatively impacted by stress. The easiest way to get it in you is to take it as a supplement. Astragalus is prized as an immunomodulator. It will help to make your immune response more effective without causing your immune system to become overactive. There have been many clinical studies showing how astragalus not only boosts the immune system, but also encourages an increase in immune cell activity, production, and function. Look for it at the Asian market and chuck it into soups like in the recipe below. To stay balanced this winter, focus on foods that are warm, moist, heavy and oily. Good choices are soups, nuts, warm grains and other high fat and high protein foods. If you love root veggies as much as I do, this is your time to gorge on them! Rutabegas, turnips, parsnips, carrots, sweet potatoes, beets! They’re so delicious and easy to prepare. They all do well with the roasting method which is what I use the most. 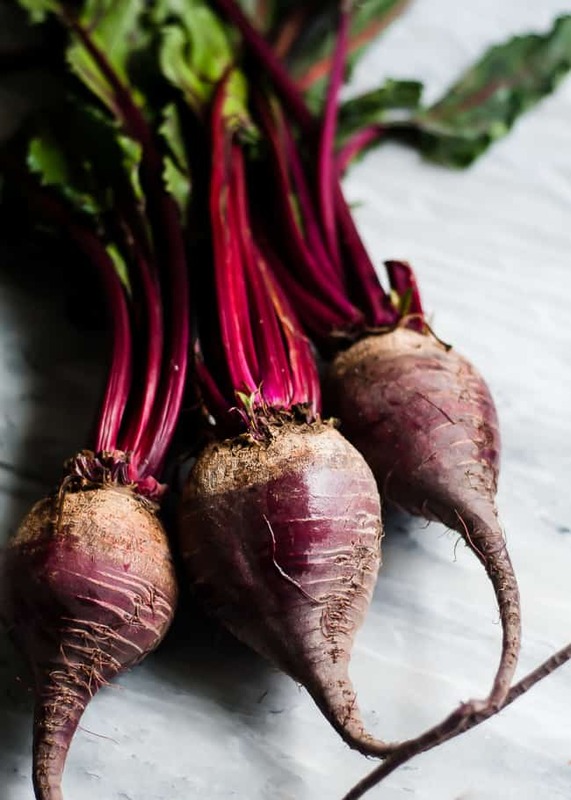 But you can also try steaming them to make a root veggie mash, adding in some warming, winter spices, like cinnamon, ginger, and cayenne. Winter is also a good opportunity to increase your animal protein intake. Break out your crock pot and make a roast chicken, lamb tagine, or beef and squash chili. Yum! This chicken soup is just like your grandma used to make, only better–shiitake mushrooms, ginger, and astragalus root combine to make it an immunity-boosting rock star. Fill a pot about one-third of the way with filtered water and toss in some sea salt, ground black pepper, and a pinch of cayenne pepper. Bring water to a boil. Add the split breast (after pulling off the fat and skin--a little left is fine). Add the ginger, astragalus, carrots, celery, onions, garlic, kale stem and shiitake mushrooms to the soup. Return to a boil, then reduce to a simmer. Let this cook for about 30 minutes to an hour. When it's almost finished cooking, add the kale leaves and use a fork to shred the chicken. Put the chopped parsley and cilantro in the bottom of your serving bowl and ladle the soup over it. If you want to add some additional slices of ginger (not too much) and cayenne pepper, you’ll really open up your sinuses for a good, healthy blow. Turmeric!! No one ever mentions that let alone about mixing it with pepper! Great little blurb about it. Great post! Love what your spreading around here ?? My mom swears by turmeric. And it’s proven to be very effective for me.